Coming off of another WNBA championship Seimone Augustus made her 2015-2016 Euro League debut last night with Dynamo Kursk. After battling injuries during the summer she had a strong comeback at the end of the season to help lead her team to their third WNBA championship. Having played for Dynamo Kursk for several years now i’m sure she wants to hoist another trophy next year as Euro League champions. Look for her to strengthen an already loaded roster. Chelsey Lee Gets Clearance As Half Korean! After undergoing knee surgery after being injured in game five of the WNBA finals Briann January is unable to suit up for Adana ASKI in Turkey until her rehab is completed. In her place the team has brought in Riquna Williams who has already shown to be a huge addition to the team. Temeka Johnson of the LA Sparks will replace Odyssey Sims from the Tulsa Shock for Turkish club Abdullah Gul University. 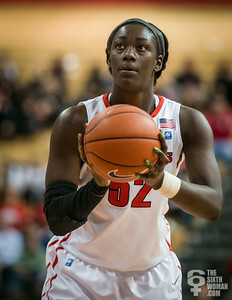 Johnson is a very experienced player in both the WNBA and Europe. She will be a great addition to the team.